Basketball Ireland Men’s Super League table toppers Templeogue will be hoping that they continue their impressive form of late this weekend when they welcome reigning league champions, UCD Marian, to Oblate Hall. The league leaders come into the game off the back of a nail-biting one-point win against Keane’s SuperValu Killorglin last weekend, and now sit one win ahead of nearest contenders, Garvey’s Tralee Warriors, at the top of the table. UCD Marian meanwhile come into the clash from a big 100-96 home win over Belfast Star in Dublin last weekend, and will be hoping to carry that form into this weekend’s derby. Indeed there’s almost nothing separating the remainder of the top six - Star, Killester, UCD, DCU Saints and Garvey’s Tralee Warriors. Warriors, who have a game in hand on Templeogue, have a weekend off this weekend following Griffith College Swords Thunder’s withdrawal from the league. Elsewhere, Belfast Star will host DCU Saints, Pyrobel Killester welcome Keane’s SuperValu Killorglin, Maree host UCC Demons, while there’s a must win clash in Galway as both Moycullen and C and S Neptune need to get some vital points on the board. Over in the Women’s Super League and Cup champions, Courtyard Liffey Celtics, are still unbeaten at the top of the table but face an extremely tough weekend of action as they welcome fellow Cup finalists, Singleton SuperValu Brunell on Saturday, before going head-to-head with Pyrobel Killester on Sunday. 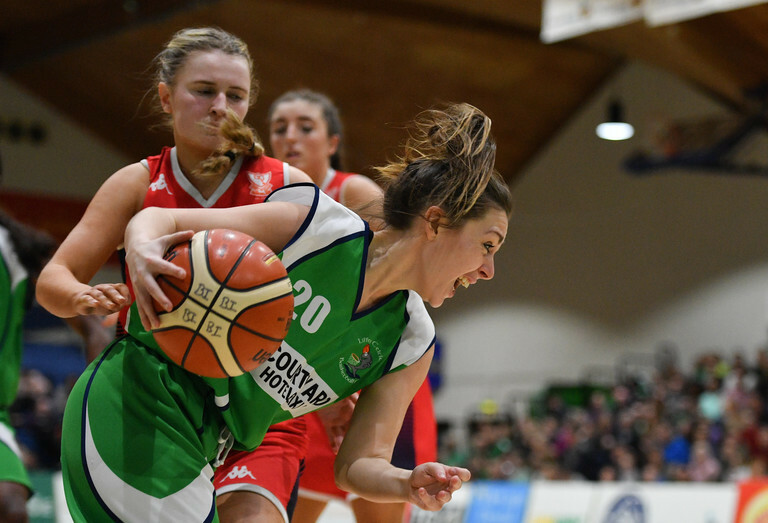 Liffey Celtics played Killester last weekend and almost lost their unbeaten streak on the night, but a 26-point fourth quarter pulled the win out of the fire for them. Killester also have a double-header weekend, as they host IT Carlow Basketball on Saturday evening. Second placed DCU Mercy host Maxol WIT Wildcats in what is set to be a very interesting tie on Sunday afternoon, while old rivalries will reignite in Cork on Saturday as Fr Mathews face off against old foes, Marble City Hawks. NUIG Mystics meanwhile are still on the hunt for an elusive first win, and will be hoping that Cork will be the place for them to get it as they travel down to third-placed Ambassador UCC Glanmire on Sunday.